Amber earned a Juris Doctor from the University of Missouri School of Law and a B.A. in Anthropology and Disability Studies from the University of Georgia. Amber has been the ADA Coordinator since June 2014. Amber manages all aspects of ADA compliance across the university, including accessibility, program access, and reasonable accommodations for faculty and staff. 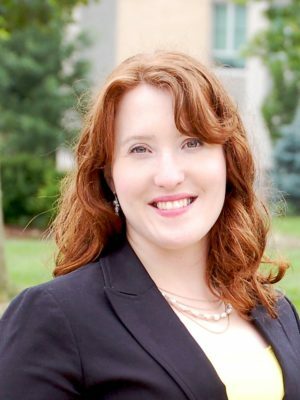 Amber came to Mizzou from the Office of Disability Employment Policy at the U.S. Department of Labor in Washington D.C., where she was a Presidential Management Fellow and Co-Director of the Workforce Recruitment Program, a nationwide employment program for persons with disabilities. Amber also has experience working for the Equal Employment Opportunity Commission. Amber is a person with a disability and a first-generation college graduate.